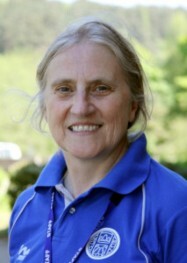 Jayne Allen is the School Sports Coordinator at Highfields School in Matlock. She’s been with the Rural Derbyshire School Sport Partnership right from the outset and is passionate about the importance of sports and physical activity for students. I’ve always believed that sport is for all – not just for the elite. It’s a lifestyle that keeps you active and healthy and helps you make friends. For youngsters it helps keeps them on the straight and narrow. It’s very difficult when you’re the only one [interested in sport] and your friends aren’t – you can drop off into their lifestyle. But when their peers are all pulling in the same direction, sport can help keep them active, involved and helping the community. Holding events and competitions throughout the year makes it easy to bring primary pupils through to secondary school. They get to know our facilities and it becomes a communal environment for them. They don’t need a term or more before they feel comfortable. They’re relaxed and know us and get involved right from the word go. For us in rural settings we have numerous, often small, primaries feeding into our secondary school. For example in my cluster, Elton and Winster only have 20 pupils. It’s very daunting to move up to secondary school. We’re able to mix them up at our festival-type competitions so they’re getting to know other students from other schools in preparation for when they move up. When you’ve only got 20 pupils in your school you can’t play year 6 against year 1 because of the developmental differences so it gives them a chance to put into practice the skills they are learning individually into a competitive environment. At the end of a festival we’ll play a little tournament so they’ll get a chance to experience what a competitive situation is like with peers in their own age group. This is my passion. The Young Leaders programme creates a leadership pathway from primary up to sixth form and beyond. Year 12 and 13 students are sent out on placements. It encourages and inspires the primary pupils that this is something they can follow when they go to the secondary school. It’s also giving something back – it’s not just all get, get, get. It’s voluntary. It could lead to paid work and you hope it does but most importantly I’ve seen numerous times how it gives the students confidence and self esteem. It’s not just in the PE environment – it’s a life skill, whether it’s for a job interview for a bank or university. They all say it’s something they can talk about and focus on in an interview situation. When peers coach, support and lead their peers it makes such a difference. And the little ones really do look up to the older ones and are inspired. Children with disabilities or special educational needs should be able to extend their knowledge, performance and ability at whatever level, whether in competition or just for fun. It’s good that gifted and talented students can play in the mainstream competitions, but it’s also good that there’s also a separate competition for them so they can really excel at their own level. For the wider community it gives them that insight that they matter and there’s provision beyond school and it shows that that they’ve got a place in the community on a par with able-bodied people. I’m a big supporter of Derbyshire Sport and the links we’ve got with them. There’s always been that provision of a pathway and support in Derbyshire that if you’re talented. That’s particularly important in a rural community because you’re isolated enough as it is. The cost and access to transport has always been an issue. It definitely helps to be in a partnership. Friendship’s a big thing too. When you get to know people really well and feel confident you’re working with people with the same values and you’re working in the same direction. Local clubs are very important. We got about 18 links to local clubs from Highfields. We do a lot of work with Matlock golf, cricket, football and rugby clubs. That in turn bolsters the junior sections in their clubs. So there’s a continuous pathway that extends from us to them and keeps them involved. It’s not just for the traditional sports clubs. For us Jesters Martial Arts Club has been a really important link. 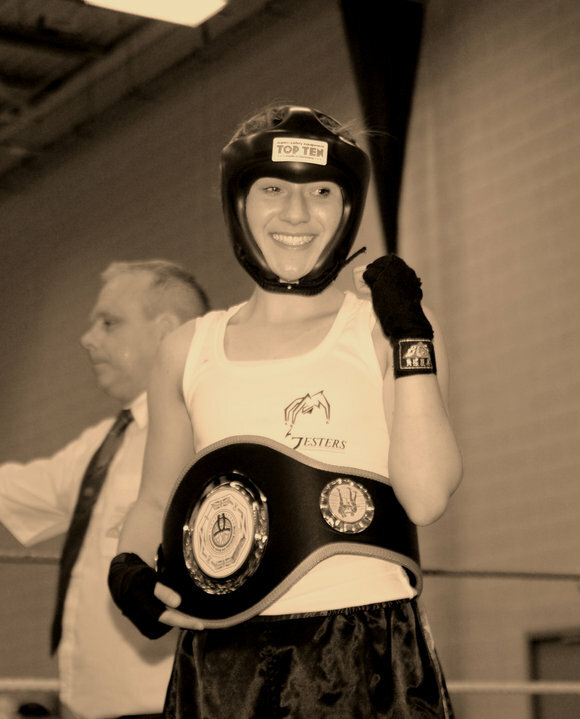 The youngsters really look up to our year 13 student Emma Erskine [who won two silver medals at the Kickboxing World championships] because she’s shown you can become a world champion from a Matlock club. In the past we hadn’t done a lot of martial arts but since Emma’s been in the school Jesters have come in and done taster sessions. 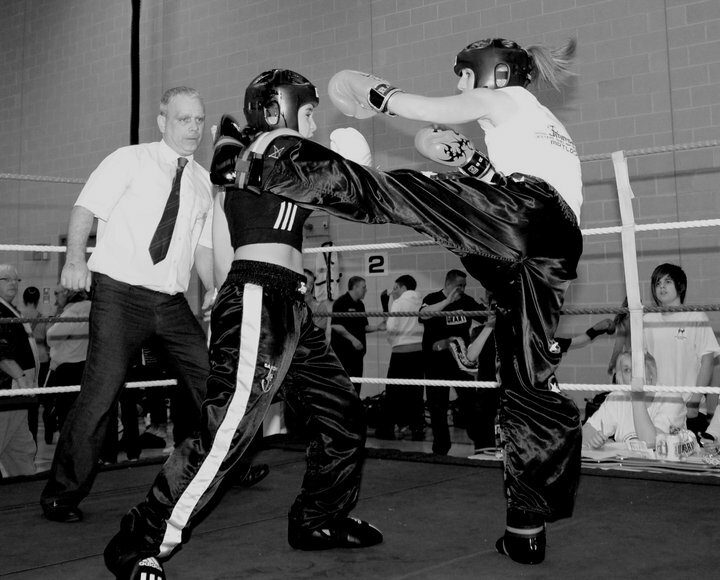 During Olympic year last year I ran a programme trying new sports every month. For example Matlock canoeing club and Darley Bridge archery came in. We’ve also got children competing at county level in golf as well. We also now have horse-riding teams because that’s popular in the Dales. We’ve even entered and won a couple of events. In the past these students could have gone through the whole of their school career not discovering their talent. The surveys we’ve done has mean we’ve found out who is good at what sports and activities. It gives the students kudos – they might not be good at hockey or football but they are good at their sport and their school recognises that. I’ve loved it at Highfields. It’s been an ongoing journey. From starting with just half a dozen people in the first year to what we’ve accomplished is amazing. 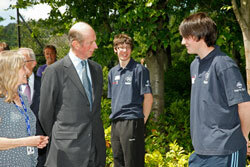 Number one was being given the Queen’s Award for Voluntary Service for our Sports Leadership Academy. We went to Buckingham Palace and met the Queen and then the Duke of Kent came to Highfields to present us with the award. 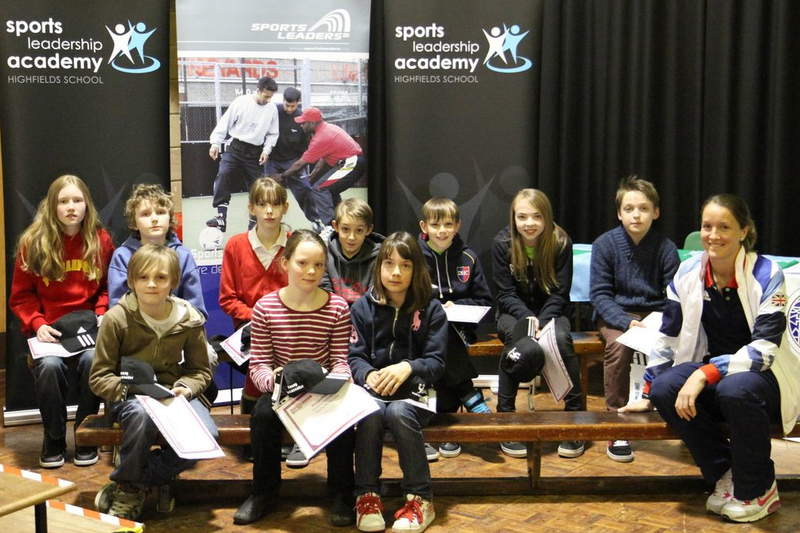 Getting World Status for Sports Leaders UK was another. And last year the Olympic Torch came to Derbyshire and to our school. Two of our students ran with the Olympic Torch and I ran with the Paralympic torch. Two of our staff were also Games Makers. I really believe in the power and value sport can give to students – it gives them a voice. I think back to when I was at school and when you look now at how the students so many opportunities, it’s just brilliant.